My non-profit organization has been established to provide aid, both personal and economic, to help underprivileged and at risk youth excel beyond their current conditions. Project Mayhem is a Charitable Fund registered under The Poise Foundation, a registered 501c3. With issues such as lack of heat in classrooms gaining national attention, a larger discussion must be held regarding the environments in which black and brown children are required to learn. There is no reason why students should be freezing in their classrooms or wearing masks because of asbestos in the school building. We are seeking to provide temporary assistance to schools in Baltimore City by supplying them with resources which will allow for students and teachers alike to endure learning and teaching in limiting conditions. 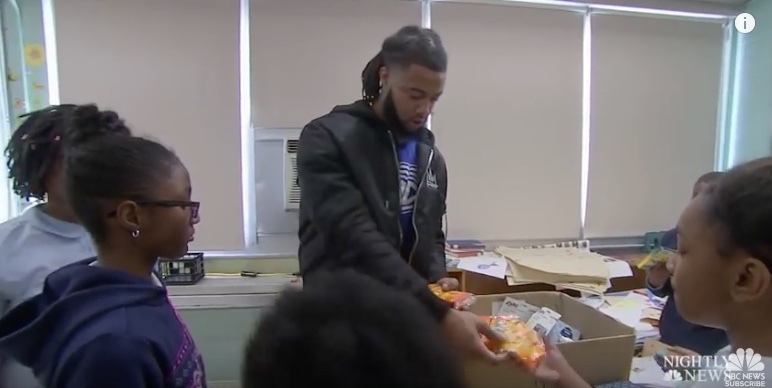 The goal is to provide as many schools as possible with a care package which would include winter gear for students in need, classroom materials, heaters if requested by school administrators, and additional resources. Support my non-profit organization has been established to provide aid, both personal and economic, to help underprivileged and at risk youth excel beyond their current conditions. To assist the Baltimore Region's Black community in achieving self-sustaining practices, through strategic leadership, collective giving, grantmaking and advocacy. Check out our current updates and events.